We have now reached the final week before Christmas weekend and I just wanted to wish everyone a peaceful and joyful festive season. 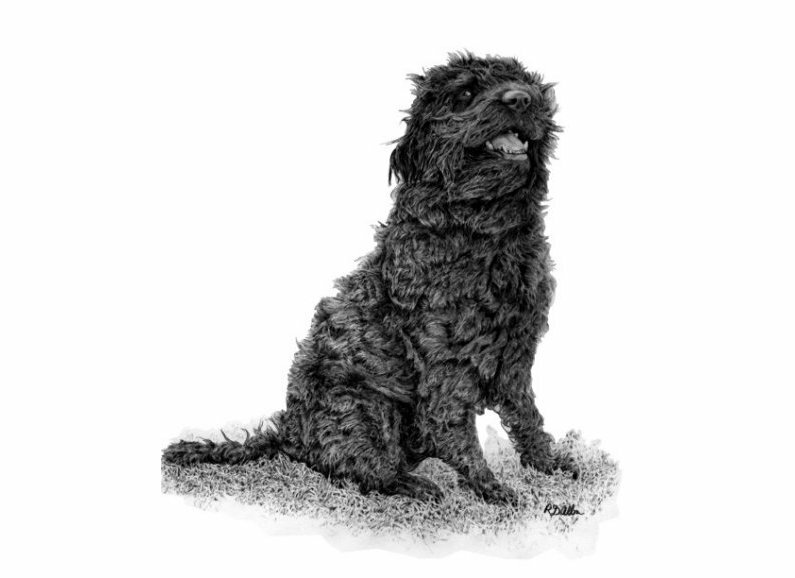 My last blog before the new year features Crystal, a Labrador Poodle cross and the illustrated drawing of her was for the owner who is blind and uses Crystal as a Guide Dog. We hear about how animals have a role in life and this is a worthy cause. Crystal was part of a litter that featured other members who found roles in security as drugs and explosives detectors. Will catch up with everyone again in 2017.